Online gaming has become a massively lucrative industry and today 53 percent of people regularly game online, a figure which rises to 64 percent for 25 to 34-year olds and 67 percent for those aged 16 to 24. 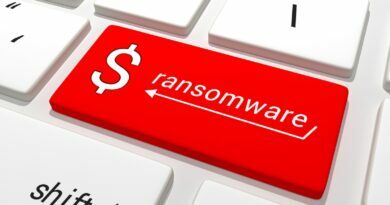 Given the large pool of money from so many people, it’s become potentially lucrative for cybercriminals to hack gaming accounts to be sold on the black market. Yet according to Kaspersky Lab, despite the threats, gamers are frequently leaving their online accounts vulnerable to hacking attempts, putting their valuable progress, personal data – and potentially their income – at risk. The global games audience – led by online platforms such as Steam, PlayStation Network and Xbox Live – is now estimated to be between 2.2 billion and 2.6 billion and is continuing to grow. This makes the industry a clear target for cybercriminals who are looking to disrupt online operations and gain access to data such as passwords and bank card information, clearly shown by recent attacks on both the Xbox and PlayStation platforms. With more than half of people now regularly gaming online, cybercriminals have an enormous pool of potential targets to choose from. Furthermore, gaming has become a major part of many people’s lives, with users turning to games when they’re bored or lonely and to socialise with friends. Successful attacks can therefore be hugely upsetting for those affected. 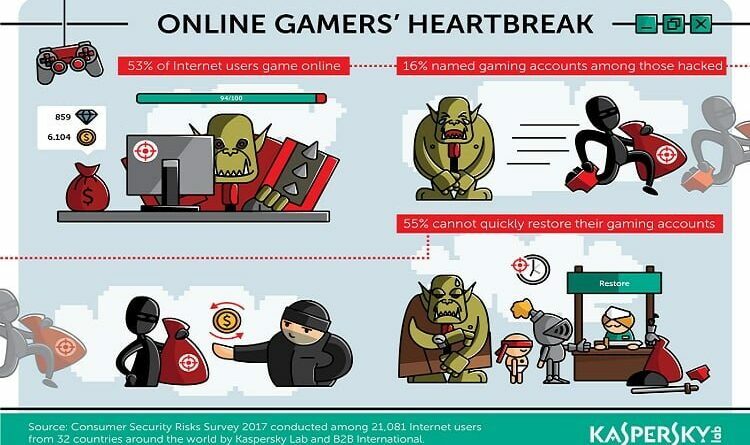 As well as having their data stolen, victims who have their gaming account broken into can also be emotionally affected, losing access to their favourite games (either temporarily or permanently), the many hours they may have spent building up their profile and any money they might have put into it. Of those people who have experienced a successful or attempted attack on one of their online accounts, 16% identified their gaming accounts as being a target, a figure which rises to 21 percent for men. And, as 55 percent of people can’t quickly restore their gaming account details if lost, the distress that accompanies such attacks is significantly amplified. And these accounts are clearly extremely important to their owners. Rather than being an activity reserved for the home, gaming has become entwined into many people’s everyday lives, as illustrated by the fact that almost one-in-three (27 percent) people regularly use either a smartphone for online gaming. Although devices aren’t inherently secure, nearly a quarter (23 percent) of people use public Wi-Fi to log into gaming accounts and 56 percent say they don’t take any additional security precautions when using public networks, which presents obvious security risks. This danger is further enhanced by the fact that just five percent of people selected their gaming account as being one of three that require the strongest passwords. Furthermore, as many online profiles today are connected, victims can easily end up losing access to several accounts – such as email and social media accounts – that are important to them in many ways. While this can be emotionally damaging for leisurely users, professional gamers can be even more seriously impacted, potentially losing out on valuable income.